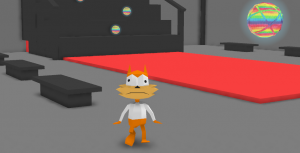 In the years after Bubsy 3D, the character and series had since become a joke among video gamers, especially thanks to numerous articles and Youtubers mocking his hammy exploits and terrible games. 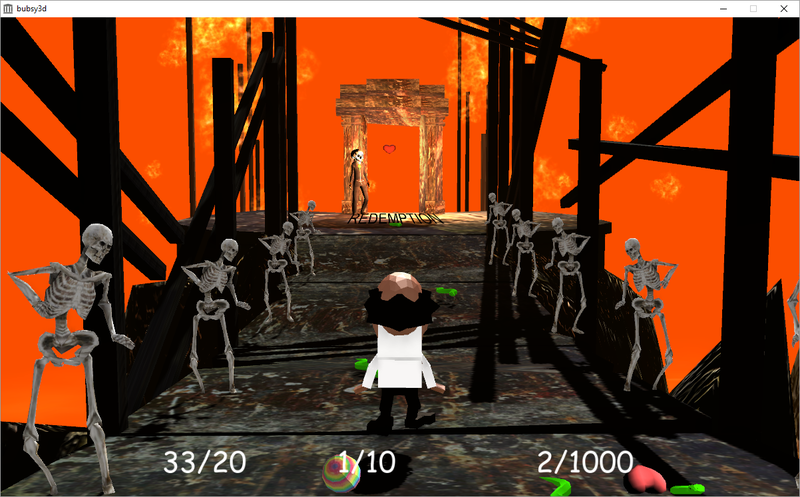 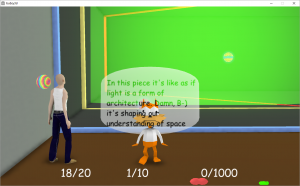 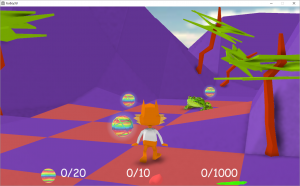 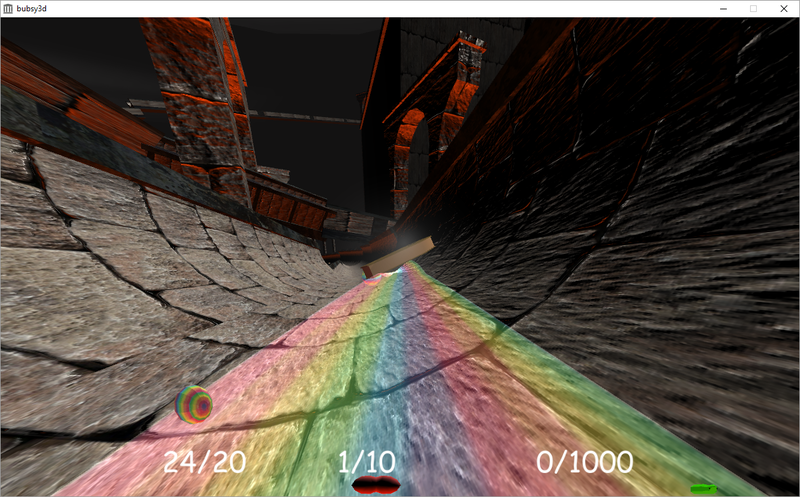 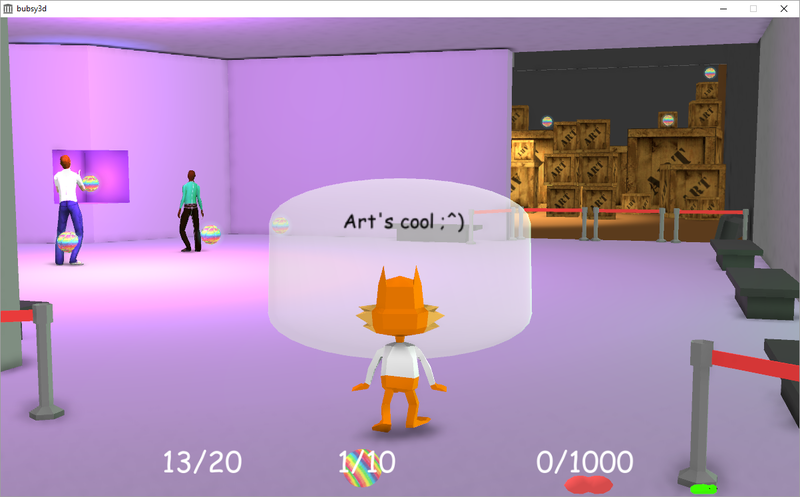 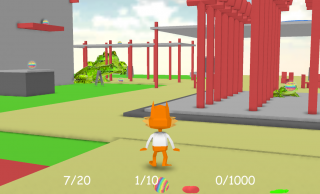 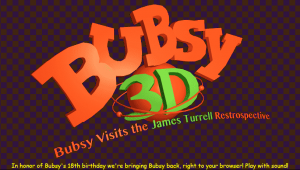 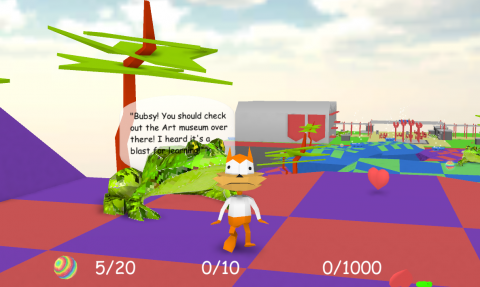 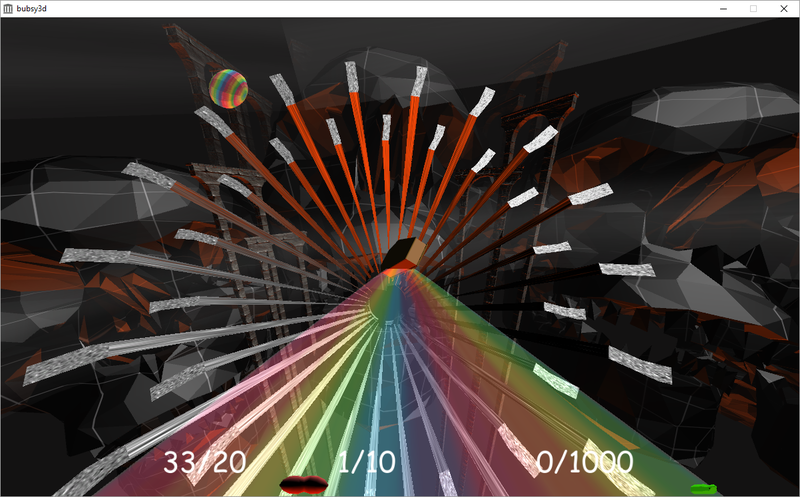 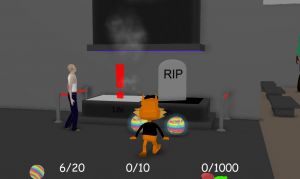 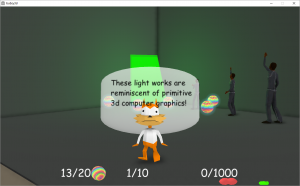 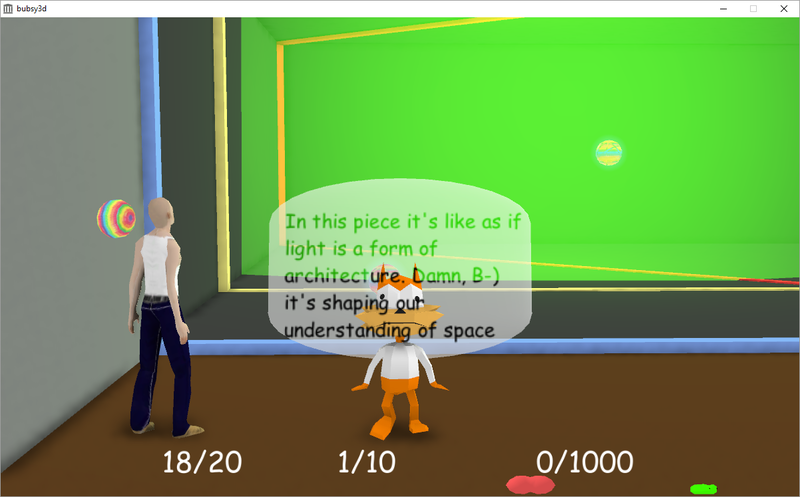 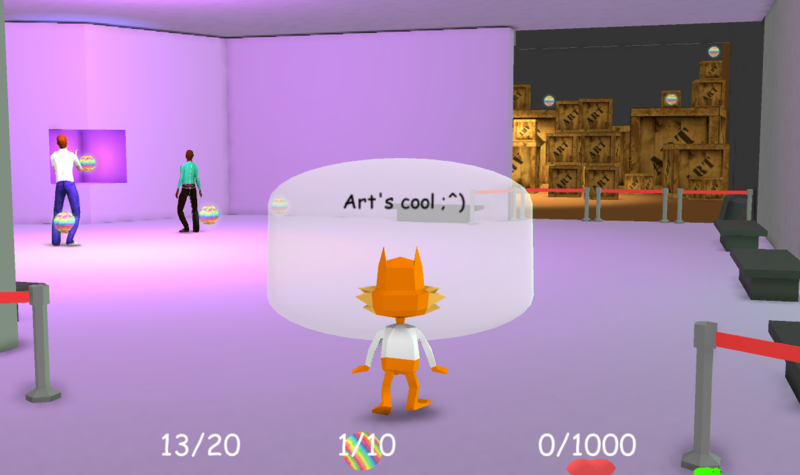 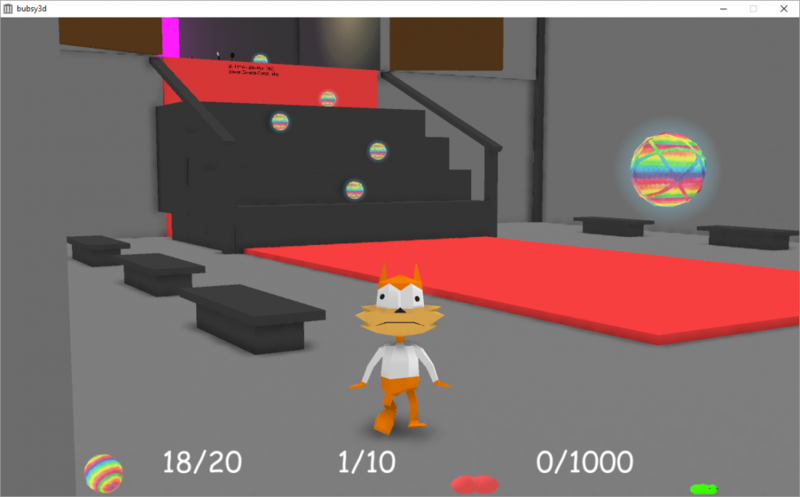 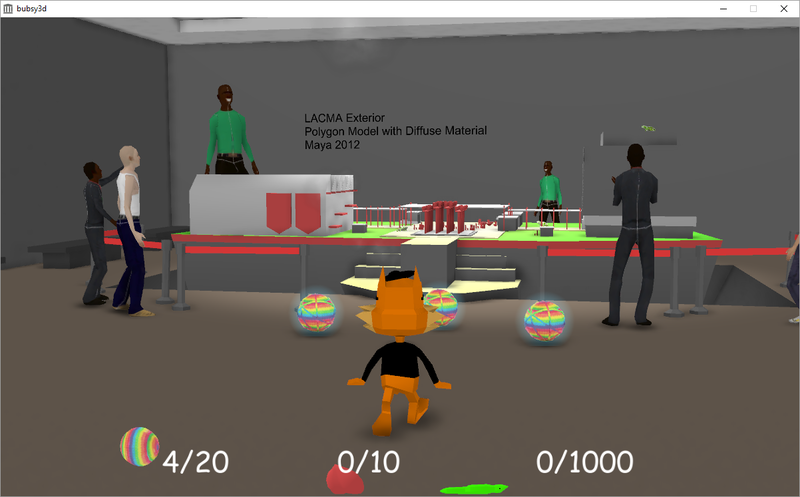 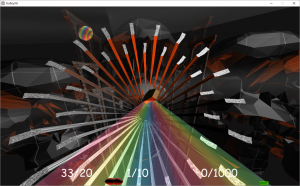 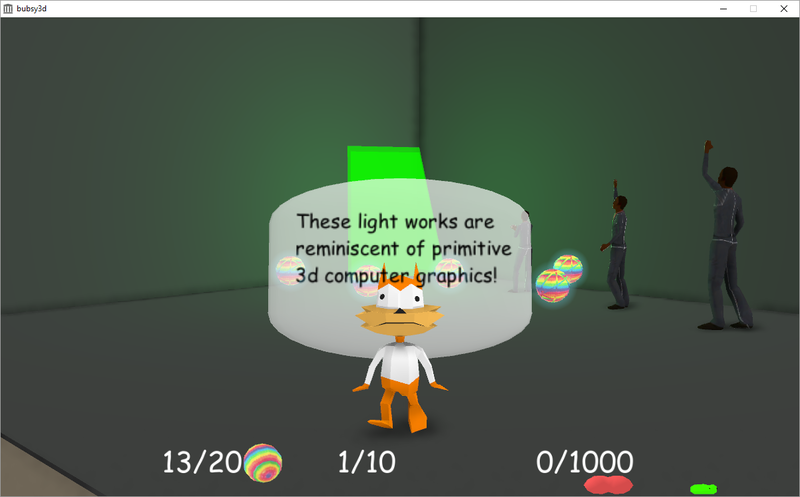 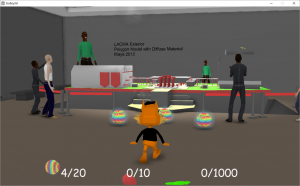 To “celebrate” his 18th anniversary, the indie development team Arcane Kids released a freeware browser “game” called Bubsy 3D: Bubsy Visits the James Turrell Retrospective. It’s certainly not an official entry in the series, though whoever owned the rights at the time clearly didn’t seem to care. It starts off seemingly like a 3D platformer, much like Bubsy 3D, using the same low polygon character models and textureless scenery. 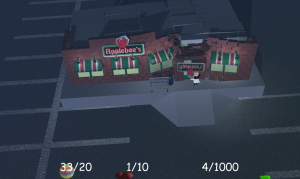 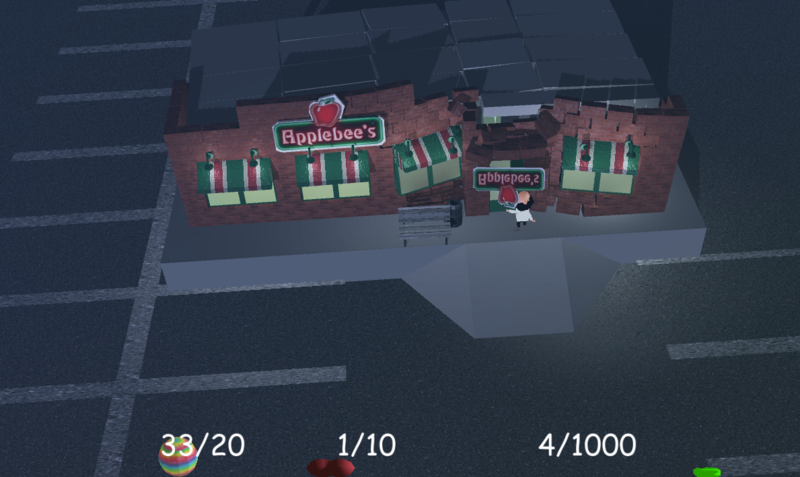 There are items to collect, though once you grab enough it’s clear that none of them mean anything (it seems to indicate there are only 20 glowing colored orbs to find but there are much more of these to be found). 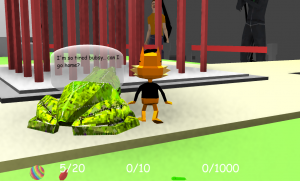 There’s an inexplicable preoccupation with frogs and cheering humans of varying heights, which gives some hint of the unbridled silliness that the experience eventually falls into. 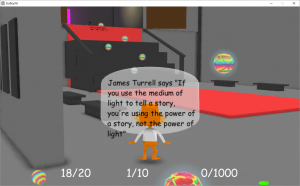 Once floating over the scenery, you visit a museum devoted to James Turrell, an artist who focused on light and shadow. 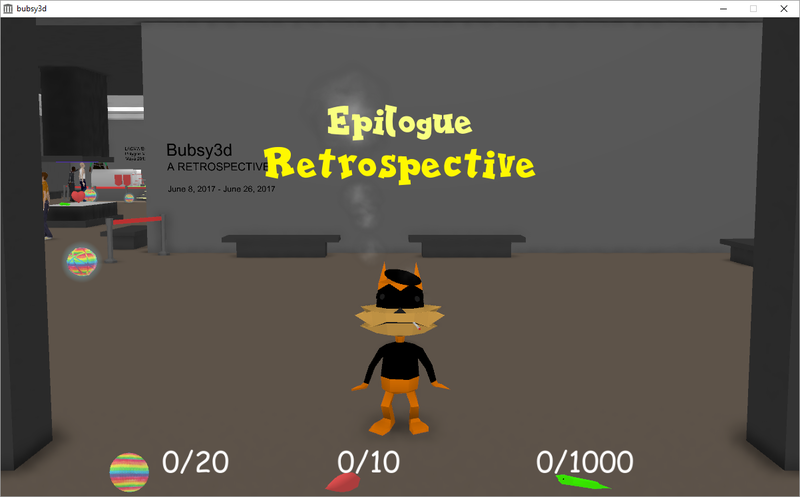 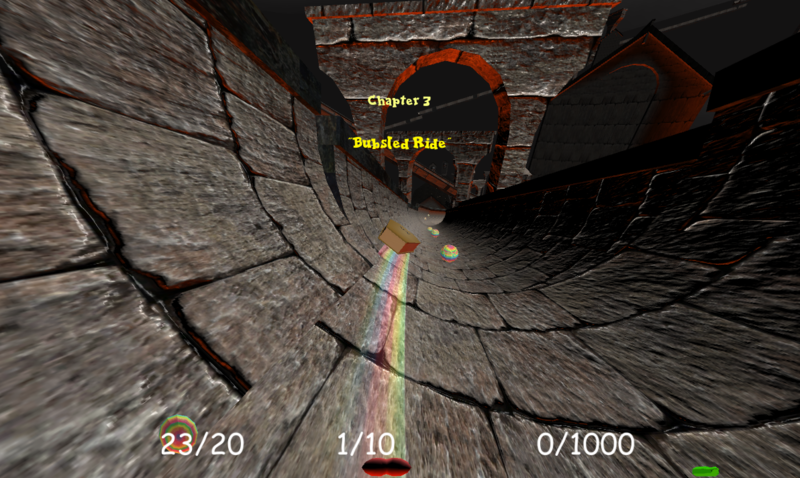 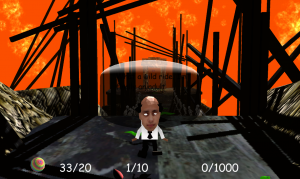 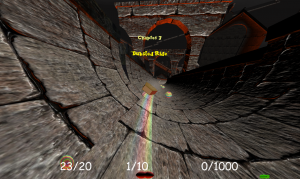 There’s some similarities the game is trying to draw against his work and the simplicity of early 3D visuals, but ultimately it doesn’t matter all that much, as Bubsy finds his way into the back areas of the exhibit, enters a coffin and then rides it down a bobsled slide to hell. 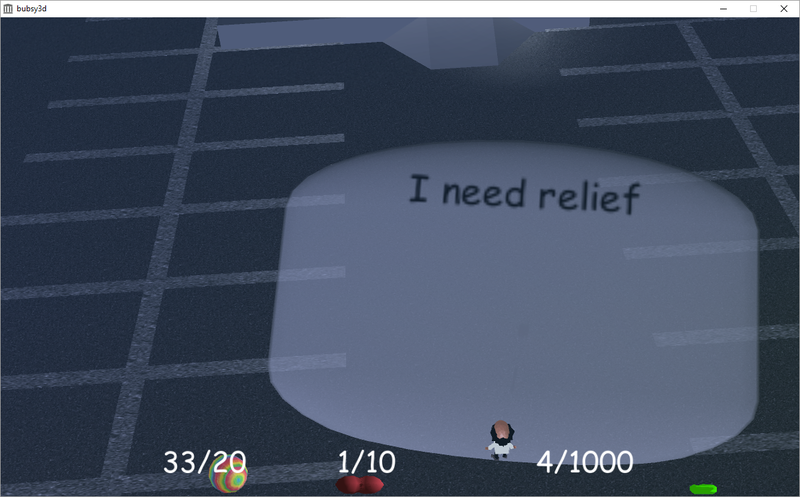 At this point, his head turns into a one of a bald old man, who complains about being unable to get “relief”, before disassembling an Applebee’s restaurant brick by brick. 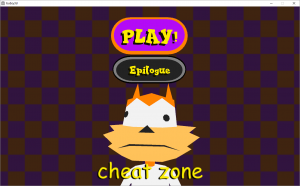 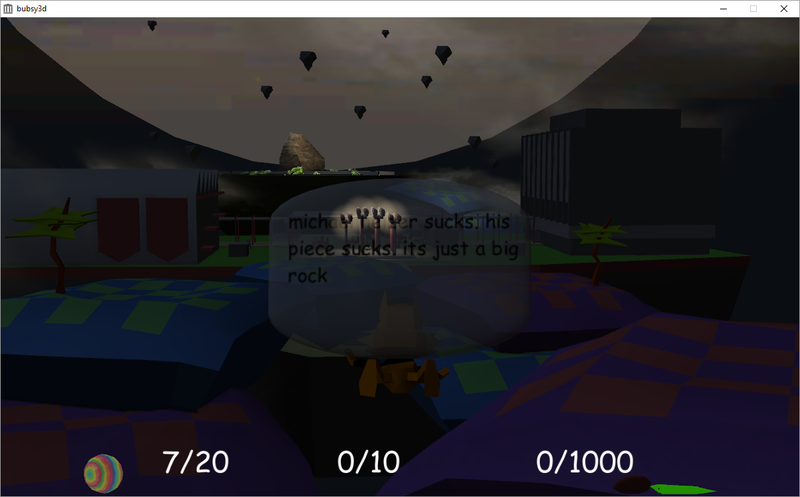 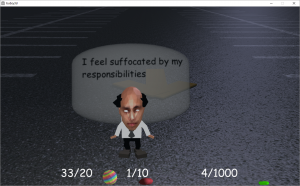 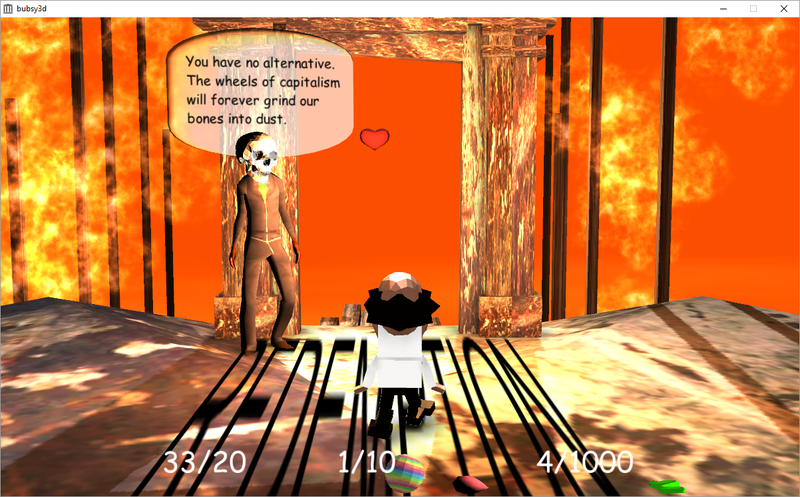 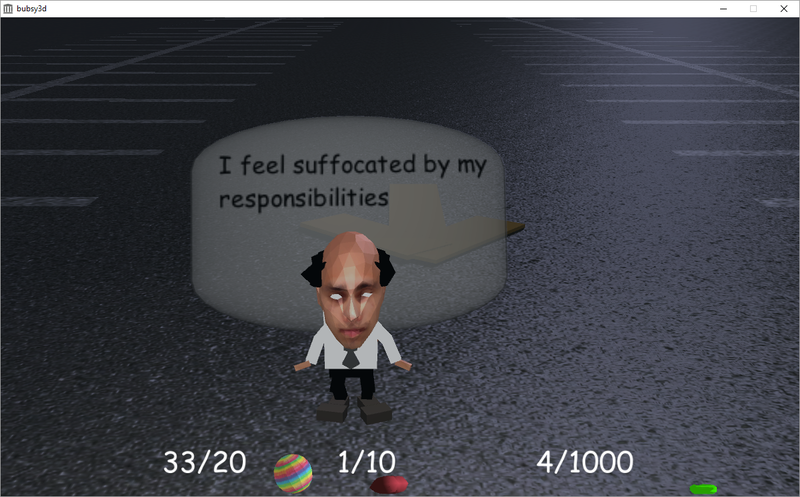 It then ends here, having posed far more questions than it answers, though a subsequent downloadable release adds an extra post-game scenario where Bubsy walks around in a beatnik uniform and recalls his time with this ridiculous little thing. 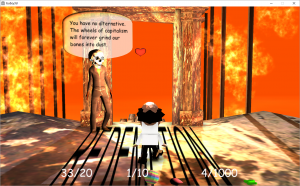 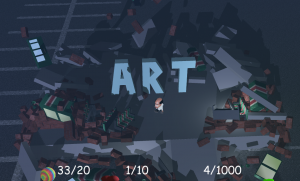 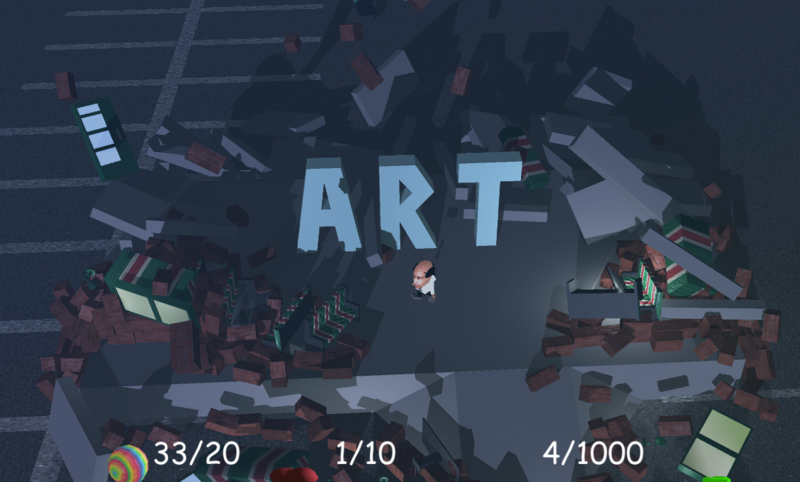 The Arcane Kids live up to their name in delivering absurd, Dadaist humor wrapped in the carcass of a long dead, widely hated retro game icon. 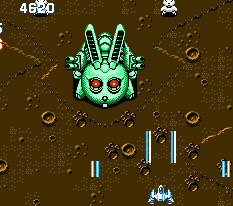 Incidentally, it did something similar with their subsequent release, the bizarre Sonic Dreams Collection, this time using a more widely recognized (and generally liked) 16-bit mascot character.